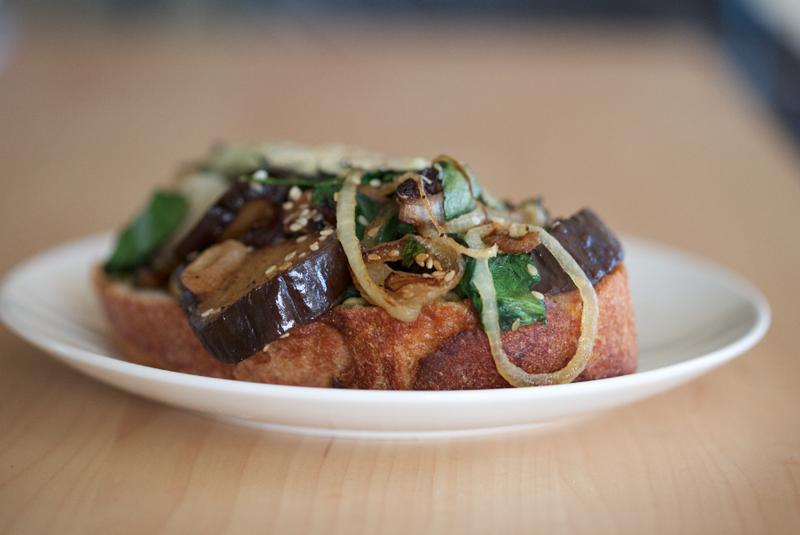 Slow roasted eggplant, garlic and lemon sandwich. Last night I tried to makes something different for dinner. We’ve become very lazy, uninspired in the kitchen so I decided to try and shake up our palates with something fresh. 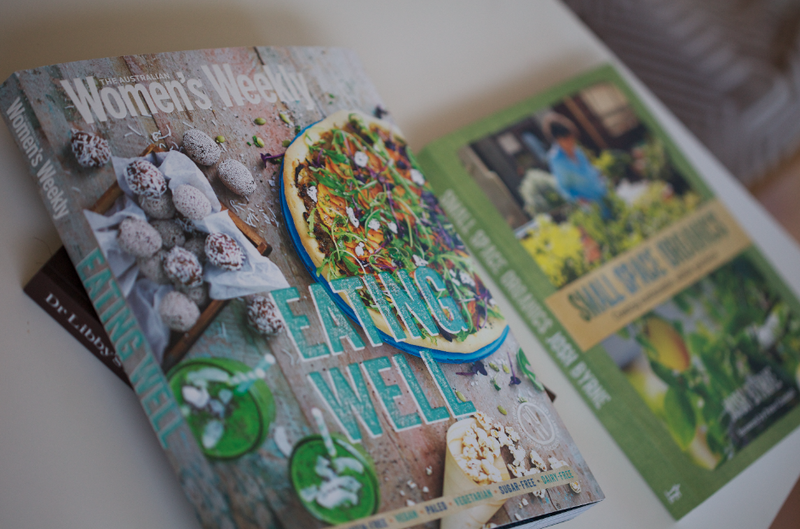 Earlier in the day I’d picked up this vegetarian cook book and small space organic gardening guide…naturally my creativity was inspired. This is an open faced sandwich that I conjured together in my mind while walking in the heat last night. I was drawn to the shiny, deep purple silhouette in the supermarket and figured I could make something work with the ingredients we had at home. This hot mess of a sandwich was much beloved by Mike (which is actually very rare! ), he said “it was cooked perfectly” and that “he’d have it again”. When the hour is up, place all of the contents into a skillet with about one cup of water to soften anything that might not have cooked. When it’s getting soft, you’ll know it’s done (or the water evaporates nearly entirely) throw some spinach and sesame at the last second. In the mean time, slice two thick pieces of sourdough bread and place onto a pan, finely chop some basil and slice two fat pieces of mozzarella. Place the cooked eggplant, lemon, garlic and onion onto the bread pieces. Sprinkle the basil over and carefully place the mozzarella brick on top (haha not a brick but enough to enjoy). Pop this back into the oven until the cheese is golden. Done. This entry was tagged australia, Cooking, Creativity, Eggplant, Food, Food Photography, Health, Inspiration, Kitchen, Organics, Vegetarian, Vegetarian Meals. Bookmark the permalink. Hey Elaine, if you were closer you could have had left overs with me twice yesterday! I had it cold with some hummus slathered on the bread and it was awesome at lunch and then hot again at dinner.